Having a decent credit score can open a lot of possibilities in your life, whether it’s purchasing a home at a low mortgage rate, reducing your auto insurance premiums, or even securing certain types of jobs. If you’ve had a problematic credit history, however, your credit might have sunk to new lows. No matter what your current situation: don’t count yourself out. By using certain credit cards available to those with bad credit in a responsible manner, you can dig yourself out of a hole and re-establish your credit score and credit history. The first step when you have poor credit is to educate yourself about your financial options. It’s crucial to understand that there are two different types of credit cards for people with credit challenges: secured and unsecured cards. With a secured card, you get a credit card after you first pay a security deposit to a bank, credit union or other lender. Then you build your credit by making regular payments (and certain applicable fees). So let’s say you put up a $500 security deposit. You would then get a secured card with a $500 credit limit. On the other hand, unsecured cards have no security deposit. These are the traditional kind of credit cards most people apply for when they seek a new card. But both secured and unsecured cards can be used almost anywhere credit cards are accepted, and retailers and others wont know if you’re using one card or another. 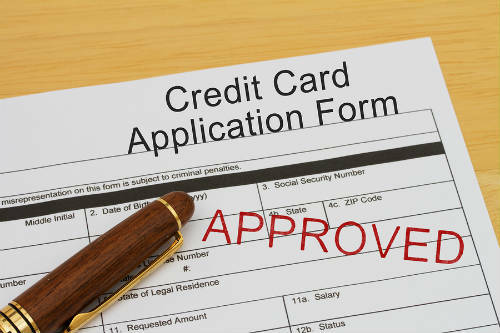 Credit cards usually have an online application form that’s easy to fill out. Some offer an instant approval, whereas others may take weeks via snail mail. The rule of thumb is that the better your credit score is, the quicker you’ll be approved. To qualify for a secured card, you need to do more than put up a security deposit. You also typically need to be at least 18 years of age, have a Social security number, a U.S. address as well as an American bank account. Bear in mind also that, in some instances, you can be turned down for a secured credit card. One of the main reasons this may occur is if you have no steady source of income. If you are rejected, don’t despair. You can utilize a few “workarounds” to boost your bad credit history, including getting “credit builder loans” from local credit unions.